A cracked tooth in Pearland can be painful, unattractive, and pricey to repair. Today’s post in the David C. Montz DDS, PA & Associates – Family, Cosmetic and Implant Dentistry dental blog contains an easy-to-follow list of tips to keep your teeth strong. If you are suffering from a cracked tooth in Pearland, please visit our office so we can treat it right away. Mind-blowing, right? People should steer clear of ice, hard candies, hard nuts, popcorn, and beef jerky. Also be careful with pitted fruits—that peach may be soft but if you bite hard into the pit, you could damage a tooth. This rule should definitely take precedence when you’re playing a sport where you could be hit in the mouth. If you enjoy pick-up basketball games, indoor soccer leagues, rec center flag football, and many other activities, you should be using a well-fitting mouth guard. Take a minute to find a pair of scissors before you tear open a package of lunch meat or rip the price tag off a new piece of clothing with your teeth. Use a nutcracker for nuts. A quality dental crown can cost hundreds of dollars. Most people know that grinding your teeth is harmful, but did you know that it can lead to a cracked tooth? Furthermore, most people don’t know that their headaches or jaw pain could be caused by their teeth grinding. 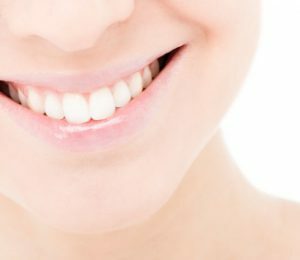 If you know or suspect that you are a tooth grinder, speak with your dentist so you can address the problem with stress reduction techniques or a mouth guard. Your dentist can alert you to conditions that might predispose you to cracked teeth, such as having an uneven chewing surface or brittle teeth. Your dentist may also discover tiny cracks you aren’t aware of. These cracks can then be repaired before further damage or decay occurs. If you already have a cracked tooth, never fear! Treatment is available for all cracks, small and large. Veneers, cosmetic dental bonding, inlays/onlays, fillings, and dental implants are all used to repair or replace damaged teeth. If you live in the Pearland area and you are seeking a friendly, experienced, and gentle dentist, please give us a call at 832-895-5120.